After your wedding day is over, you will enjoy looking at your online gallery of photo booth images. Laughing hysterically at the fun everyone had at your perfect wedding. Your Photo Booth images will last and be cherished for years because we use the latest in high-quality commercial printing technology available. 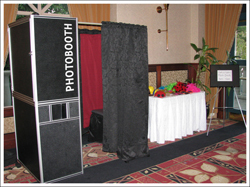 AT PhotoBooth lines move quickly, because of our quick print times, allowing your guests to enjoy your photo booth over and over. Professional on-site attendant gently encourages guests to have fun and makes sure everything runs smoothly. There is something about dressing up that takes away your inhibitions and inspires fun. You can choose a prop box to go with your wedding theme and personality. 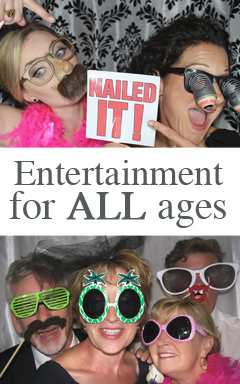 This source of entertainment will engage your guests and create a wedding keepsake. We book up fast so call 250.658 4452 or email today.